To get to Heisler Park / Picnic Beach in Laguna Beach turn south at the traffic light on Myrtle street from PCH. 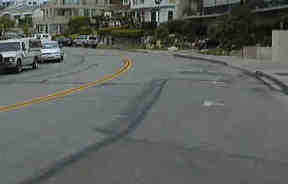 The Myrtle ends at Cliff drive, turn right on Cliff and start looking for a parking place. Where Myrtle and Cliff meet is the park area, picnic tables and beach access are to the right and a grassy area and the other Heisler area's are to the left. There are tables, benches, and a ramp to the beach here. There is housing on the north side of Cliff and the park is on the south side of Cliff. 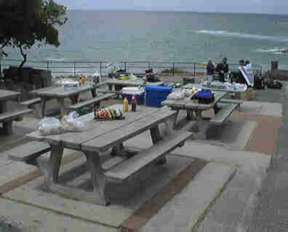 The parking is available at Heisler Park / Picnic Beach on a first come first serve basis. There is parking on both sides of the street. There ARE parking meters to pay (25 cents for each 15 minutes). Be sure to feed the meter well before you start your dive, WILL get a ticket if you do not! Please remember that the north side of Cliff is a private residential area. Be very courteous to the neighborhood, quiet and discreet. Beach access is available from a paved ramp just below the picnic tables. 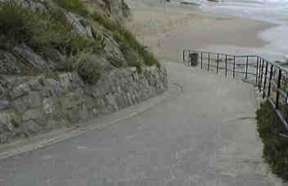 This is one of the easier beach accesses in Laguna Beach. There is a hand rail on both sides of the ramp and when the ramp is wet and sandy it's a good idea to hold onto. The ramp is steep so be careful ascending and descending. The beach right at the end of the ramp, this can also be used for access to Divers Cove. During high tide the entire beach gets wet so don't leave anything in the sand (it may not be there when you get back!). 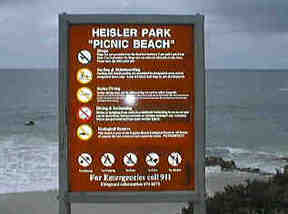 There are numerous facilities available at Heisler Park / Picnic Beach. There are picnic tables, grassy areas, drinking fountains, charcoal grills (you must use the ones provided, don't bring your own), showers, bath rooms, telephone, change machine, lawn bowling (private club), shuffle board (private club), and more! There are tidepools to look at, great views of the ocean, this is a great place to spend the day after a dive and have lunch or dinner. Diving at Heisler Park / Picnic Beach is straight out and to the left. 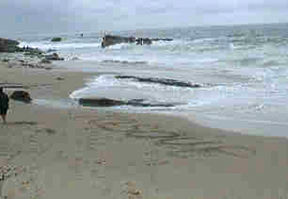 If you head straight out there are several reefs that are separated by sandy areas. Each of these reefs is great for exploring. On days where the water is clear you can stand up by the tables and see each on very clearly. If you head to the left there is a large rock that has many crevices that fish like to hide in. This rock will feature an astounding amount of life to the observant diver who's armed with a flashlight. This area is a marine preserve and there is no hunting or gathering allowed! This area has always been good for seeing small sharks and rays in addition to the other marine life. Depths are to about 35 feet and marine life is abundant and most are rather small.